Sourced from rugged, volcanic vineyards in the Red Hills of Lake County, California helps define our rich, approachable wine. In every vintage we try to replicated the style and quality that makes our wines bold & expressive yet unassuming & approachable. Joseph Carr has received many high-level reviews that have solidified its name in the high-quality wine industry. The company’s values rest on the founder’s Six P’s model for building brands: People, Product, Package, Price, Promotion and Potential. The P of People always comes first. We are a family-owned business working with other family-owned and/or people-oriented businesses. McCormick’s Distilling Co.’s 360 Vodka was created to be the first eco-friendly distilled spirit in the world. It's the first vodka that is as good for the planet as it is to drink. 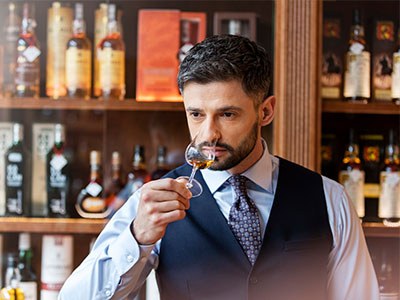 This year it was our partners’ Scotch brands that led the charge of over 350 Scotch whiskies at the 2018 International Spirits Challenge (ISC).